I used this pattern by Cookie A from the Knitty site in this yarn from The Loopy Ewe. They turned out very well with only a small spot of pooling when I shaped the heel. I liked the way the illusion of stripes changes around the foot as well as the pattern creating wavy lines. 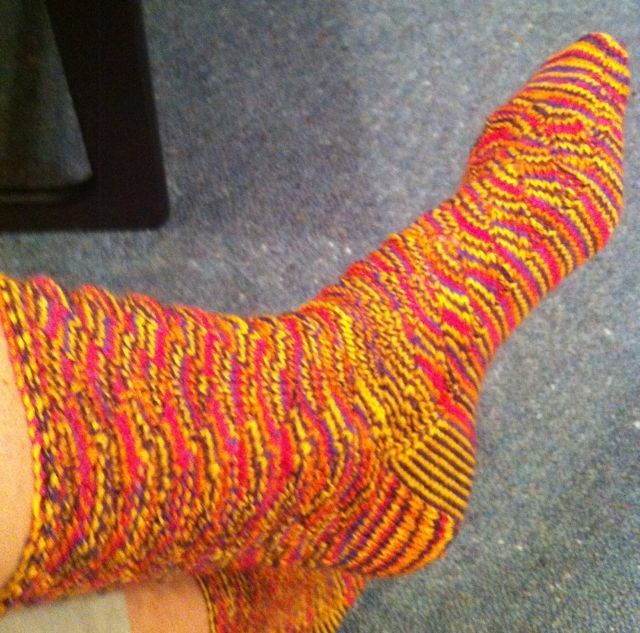 Except for some reason the top of the sock is blurry!